In most of the cultures, beard is associated with manhood and it is also considered to be complementary for the aesthetic appearance of a man’s face and give him the masculine appearance that he wishes. All these reasons led the men who have some problems with non-growth of beard and mustache hair or the presence of empty spaces or even those who want to get higher density to search for a solution for this problem. Nowadays the beard and the mustache transplant give the final solution for those people, thanks to modern technology and the availability of specialists and experts in the field. You can contact us for free medical consultation before making a decision for procedure. There are some cases that can be treated without the need for beard transplantation. At Clinicana Hair Transplant Center in Istanbul, Turkey, we offer you these tips and consultation for free as our goal is to help you to get the shape you want away from the material gain that may be a priority for many. At Clinicana Hair Transplant Center in Istanbul, Turkey, we carry out beard and mustache transplantation by using the updated technique for the extraction of grafts which are characterized by speed and achieving better results in terms of density and almost no side effect or scar compared to the traditional methods used and like the method used in hair transplantation with some minor differences only. We will provide you now all the answers regarding your inquiries about the procedure and clarifications about the beard transplant. How many grafts should be transplanted to achieve the shape of the beard that I want? If the area of beard is free of hair, it is necessary to plant 4500-5000 grafts. If hair intensification is required in the area, it is necessary to plant 3000-3500 grafts. If it is aimed to fill the empty spaces on beard, it is necessary to plant 1000-2000 grafts. How long does beard and mustache transplant take place at Clinicana Hair Transplant Center in Istanbul, Turkey? Regarding the nature of the facial skin, which is more flexible than the skin of scalp, the grafts are generally planted slowly to allow for maximum control and natural view of the follicles. It takes about 3-4 hours to complete the transplant, compared with 2-3 hours for the transplantation of scalp hair, depending on the area covered and the density of the beard that you are looking for. What are the steps and stages for beard and mustache transplant at Clinicana Hair Transplant Center in Istanbul? The procedure is much similar to the way hair is implanted in the scalp. At the beginning, we will draw the lines of the beard that are determined to suit the shape of the face regarding personal desire of the patient to achieve natural results. After that, the medical team at Clinicana Hair Transplant Center starts extracting the follicles from the donor area located behind or sides of the head after anesthesia. At this step, the experience for choosing the hair that matches the facial hair closely comes to stage and we will start opening the channels in the receiving area just as in the hair transplant in scalp. After that, hair follicles are re-implanted in the receiving area, taking into consideration the hair growth angle so that the resulting hair appears normal. What are the expected results for beard and mustache transplant at Clinicana Hair Transplant Center in Istanbul? Clinicana’s medical professional team aims to give you the most realistic and natural results that will stay with you until the end of your life. Our professional team restores your natural appearance by following natural direction of hair growth. You will not be able to distinguish between the natural hair and the transplanted one. Will hair growth of the beard be the same as in the scalp? 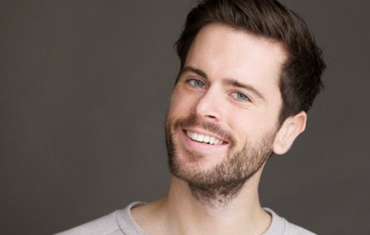 If you are worried about whether the new hair transplanted in the beard will grow exactly like the hair of the scalp that is different in nature, we can tell you that there is no need to worry. Transplanted hair in the beard will grow like any hair growing in the face with the same quality and characteristics and the medical team at Clinicana hair transplant Center Istanbul Turkey confirms this. Will the beard transplantation will be painful? Similar to any hair transplantation in the scalp, hair transplantation in the beard does not cause any pain. The only exception is during the anesthesia phase, which takes 2-3 minutes in the posterior area and 5 minutes in the front area, where the pain subtend the needle prick ,that pain disappears after a few minutes. What are the stages of hair growth after beard and mustache transplant at Clinicana Hair Transplant Center in Istanbul? After the first week: You will notice the hair falling, which is normal. After 2 to 3 months: The beginning of hair growth on implantation area. After 4 to 5 months: You will see noticeable results. After 7-8 months: You will achieve the final results for the beard transplant. When can I shave my beard after the operation? Hair implants should not be shaved for the first 10 days following the procedure. 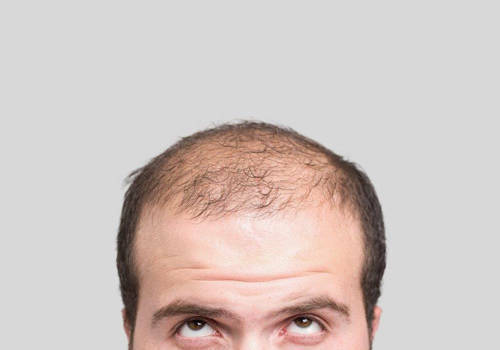 It should be noted that hair loss will occur two weeks after the operation and you don’t need to worry about it, as it is normal for the cycle of hair and it will grow again in the third or fourth month after surgery. In general, only scissors should be used to shave the beard hair after two weeks until the fifth month after the operation and then you can use the rest of the razor blades or other shavers. What are the recommended tips for the patient after the beard transplant? It is recommended for two days after the operation to eat comfortable food for the jaw area, which doesn’t need to chew, such as juices, liquids and soups, to get the stability of the grafts in transplanted area more. How much does the beard and mustache transplant cost at Clinicana Hair Transplant Center? The cost is a package starting from 2000€ for beard transplant only. In the case of additional services such as accommodation and transportation, additional amount will be added to the total cost. What are the side effects of the beard transplant? Expected side effects after the beard transplant may be not existed if the patient properly follows the instructions given by our doctors at Clinicana Hair Transplant Center Istanbul Turkey. However, as patient undergoes surgical procedure, he can expect some redness and swelling in the facial area after the beard transplant (usually about 5 days). Patient can get over these symptoms with well care and patience. We will inform you how you can take care of your beard perfectly. Another side effect as a normal part of the process is the hair falling. However, this side effect is expected with many of the patients, as this is part of the hair cycle stage and will soon grow again within 2-3 months. How long the operation takes and how long you should stay in Istanbul? Normally, you should stay in Istanbul for two days. For example, if you arrive in Istanbul on Wednesday morning, you are welcomed from the airport at landing time and transferred to the hotel. After that, you are driven to hospital for blood test and first consultation. Then, you can make tour around the city and have good time in Istanbul. On the second day, operation is performed and you are advised to have rest in the hotel. The following day, you come for checkup and removal of bandage. And on Friday afternoon, you can take your flight to go back home!